Shopping for Sailor Moon Statues? 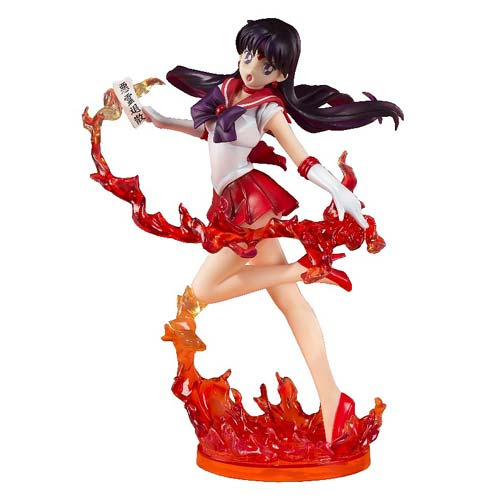 Coming to the Figuarts ZERO line comes the guardian of fire and passion Figuarts ZERO Sailor Mars! High quality pearlescent paint is used to give further depth to her meticulously sculpted sailor suit. The tips of her hair and the flare effects are accentuated with the use of translucent material. Sailor Mars is depicted holding a slip of paper with kanji writing, one of her trademark spirit wards. Measures approximately 7-Inches tall, Ages 15 and up.